Good morning Ladies and Gentleman. Sony’s little full frame gem gets review after reviews. The Sony RX1 (price & specs), the world’s smallest digital full-frame camera, and its high quality 35mm f/2.0 Carl Zeiss T* coated lens are getting all the rage by photographers looking out for superior image quality in a compact body. This time I feature a (short) video by digitalcameraworld. If you prefer to read, they have a transcript of the video. Have also a look at the cute Gariz leather half cases for the Sony RX1! Let’s just cut to the chance so I can answer the question that everyone wants to know about – is this camera really as good as a full frame DSLR? From an image quality perspective, the answer is without question – YES! The sensor on the RX1 is fantastic and the lens is on par with my best L lenses on my Canon gear. It’s got gorgeous color, dreamy bokeh at f/2.0, and creates sharp images even when examined in RAW. It’s high ISO performance is on par with most of today’s DSLR’s. The colors are excellent, the detail is very good and the performance across the full spectrum of ISO’s from 100 to 25,600 is on par with the best DSLR’s on the market. Ok, the fixed 35mm lens was felt as a limitation, on the other hand this is what characterizes the RX1. 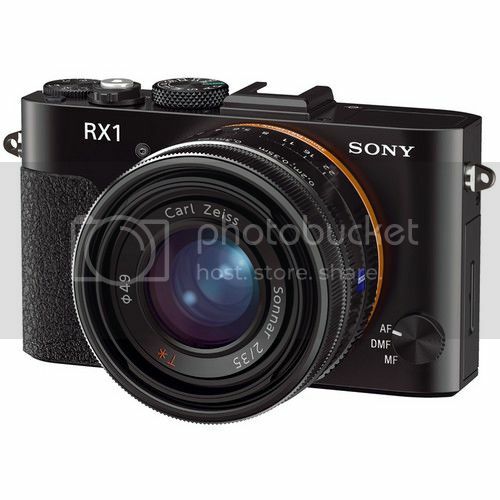 Check also the cool Gariz leather cases for the RX1 (click here).